It’s hard when you know what you want to do, but you have no clue how to get there. The internet is an amazing tool for finding the information you need, but it can also be a little bit daunting trying to wade through everything. 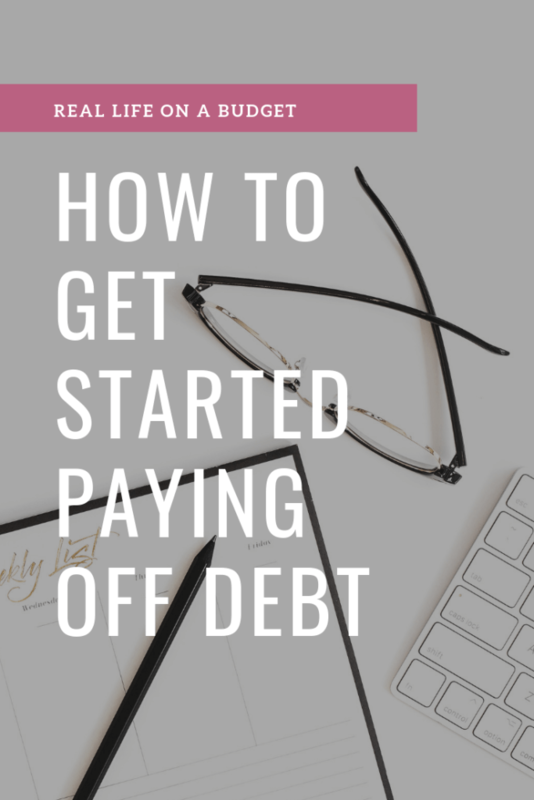 So, in an effort to answer a question that I keep getting during my Q&A sessions on Instagram, I’m going to tell you how to get started on the debt-free journey. But are you really committed though? Okay, so here’s the deal. Becoming debt-free is hard. I mean it doesn’t matter if you have $10,000 of debt or $350,000 of debt. The debt-free journey is not for the faint of heart. Paying off debt means sacrifice – it’s like losing weight, it’s easy as a box of Thin Mints to gain it, but hard as crap to lose. Paying off debt and becoming debt-free is no different. It’s hard y’all. That is why you absolutely must be 100% committed to doing this. If you’re not, it won’t work. For real. Like not at all. Once you’re committed and ready to do this thing, you’ll need to first list out all of your debts. I suggest you start with your consumer debts and ignore your mortgage until after you’ve paid off your consumer debt. 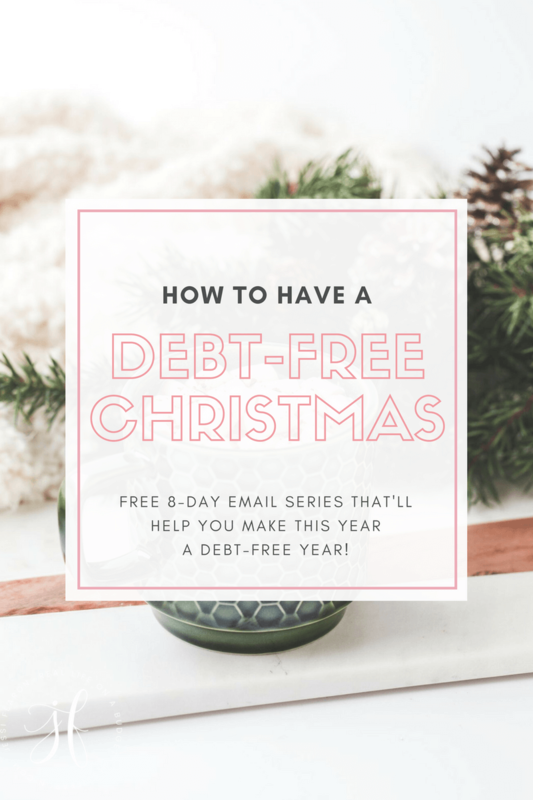 I personally like (and this is the method we used) the Snowball Method for paying off debt, but you could choose the Avalanche Method if that one makes you happy. 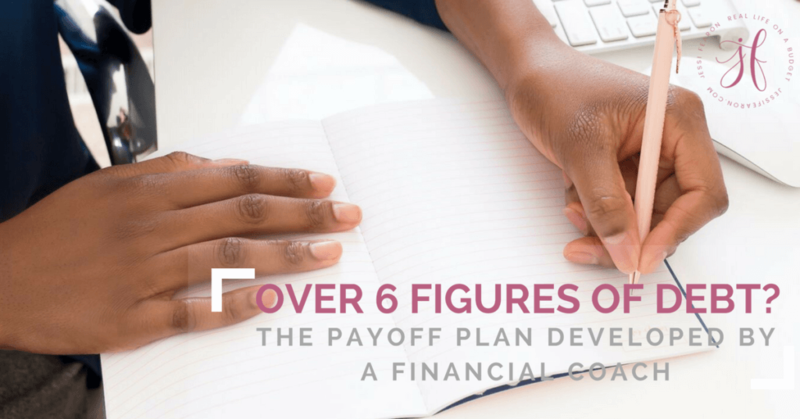 ***I have a free debt-free workbook that you can download here to help you get started on making your plan of attack. With the Snowball Method, you are going to list your debts in order from the smallest balance to the highest balance. Then you’re going to aggressively attack your smallest balance debt (while still paying the minimums on your other debts) until that balance is gone. Then, you’ll “snowball” that payment down into the next smallest balance debt and continue to repeat the process until all your debts are gone. Here it comes…that “b” word. 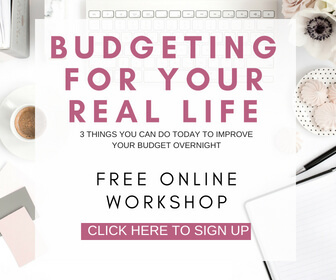 Yep, you need a budget. After you’ve set up your list of debts in the order you plan to attack them, you now need to go into your budget and figure out how much you can throw towards that first debt on your list. 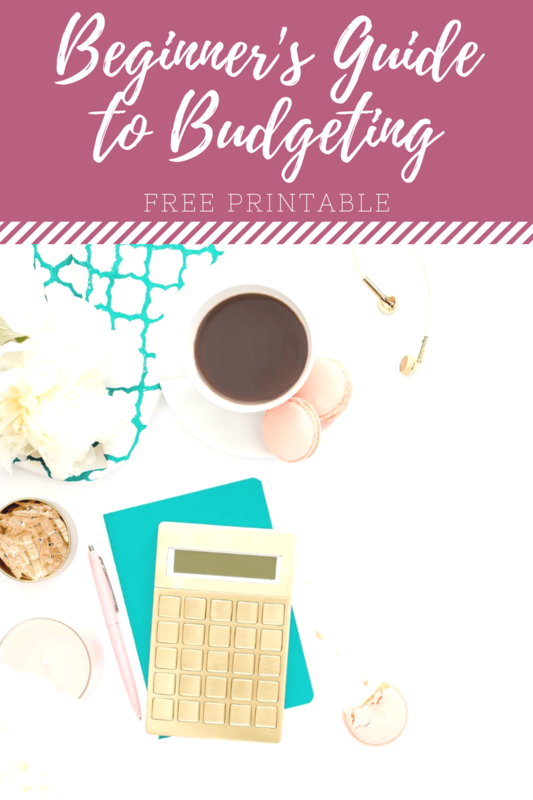 If you’ve never created a budget before, head here to read my Beginner’s Guide to Budgeting post. Like I said before, the debt-free journey is laced with sacrifices. Knowing where in your budget you can cut will help fuel your debt-free journey and get you closer to your goals faster. For example, let’s say your debt is only $10,000. 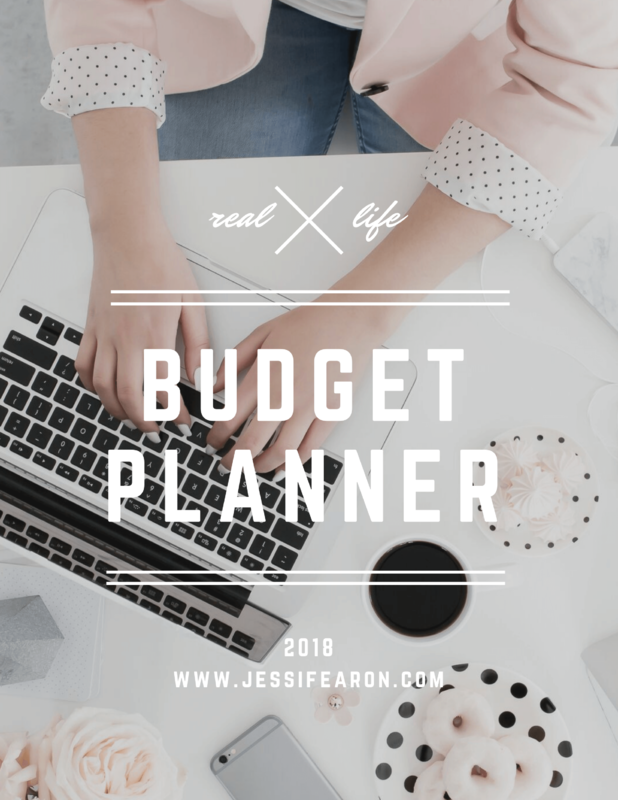 You discover after figuring out your budget that you spend $1,200 every month eating out plus another $600 on groceries every month. The only thing is, you throw a lot of food away every month because it goes bad without being used. So, if you decided for a few months to stop eating out and instead cook at home, you would save yourself over $1,000 every month! 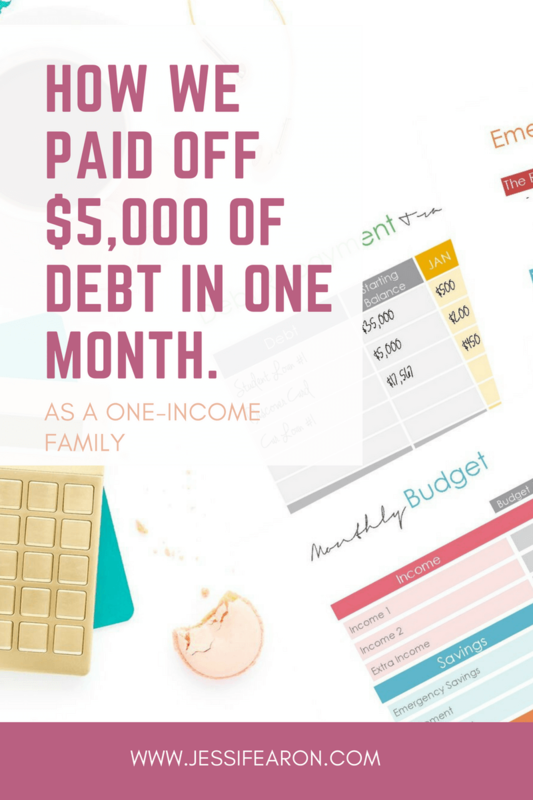 Therefore, even without cutting anything else from your budget, you could become debt-free in just 10 months! However, if you decided to really get intense with it you could cut another expense in your budget and get yourself to your goal even faster. 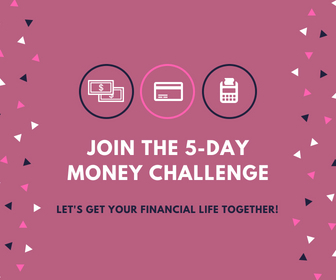 It’s all up to you and how much you’re willing to sacrifice, but without knowing where your money is going every month, you’ll never be able to achieve your debt-free goals. Whoa…let’s pump the brakes a sec! Now before we get all too crazy on making our plan of paying off debt like a knight slaying a dragon, let’s talk savings. Here’s the thing, before you can aggressively start paying off debt, you need to have a starter emergency fund set up. 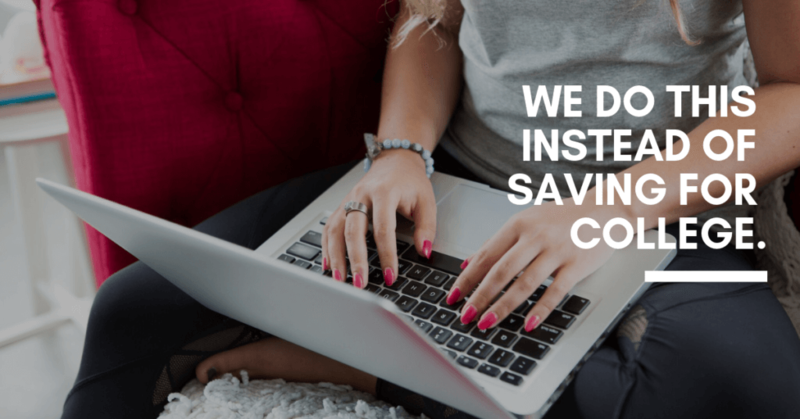 So, if you don’t already have a savings account set up – that’s step one. I prefer an online bank for our emergency fund as it makes the money “out-of-sight, out-of-mind” and it typically takes 3 business days for the money to end up in our checking account. 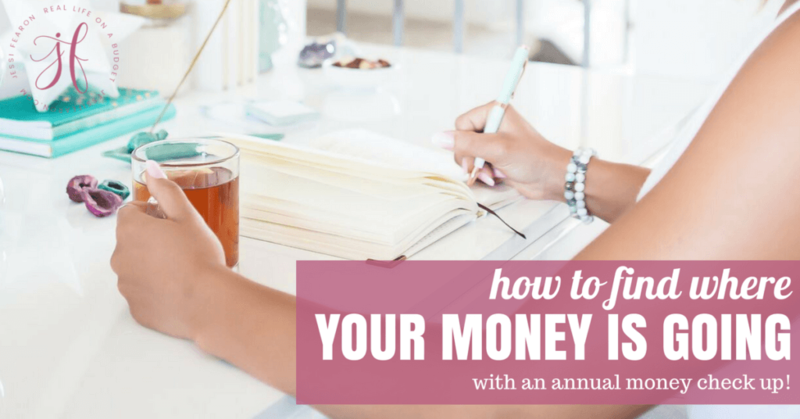 I know that last part may seem kind of scary but I love that it creates this barrier of sorts to the money because it forces us to really decide if pulling the money out of that account is truly an emergency. Also, most online banks offer a much higher interest rate meaning, you get to save even more money! The thing is, life happens and your savings account is your protection against life hitting you with a curveball. Therefore, if you don’t have an emergency fund place, you’re more likely to wind up back in debt when life sneaks up on you. To side hustle or to not side hustle? Once you’ve made your debt-free plan of attack and you’ve made your budget and completed your starter emergency fund, it’s time to decide if/when you’ll do a side hustle. A side hustle is simply something that you do in order to generate additional income. It doesn’t have to be a second job – but it can be if you want to generate additional income quickly, but it can simply be picking up odd and end jobs on the side of your regular job. In order to pay off our debt, I walked dogs and picked up dog poop as a side hustle for nearly three years. I didn’t love it – especially when I was doing it over the summer and hugely pregnant. But that side hustle generated a good steady stream of additional income that all went straight towards paying off our debt. 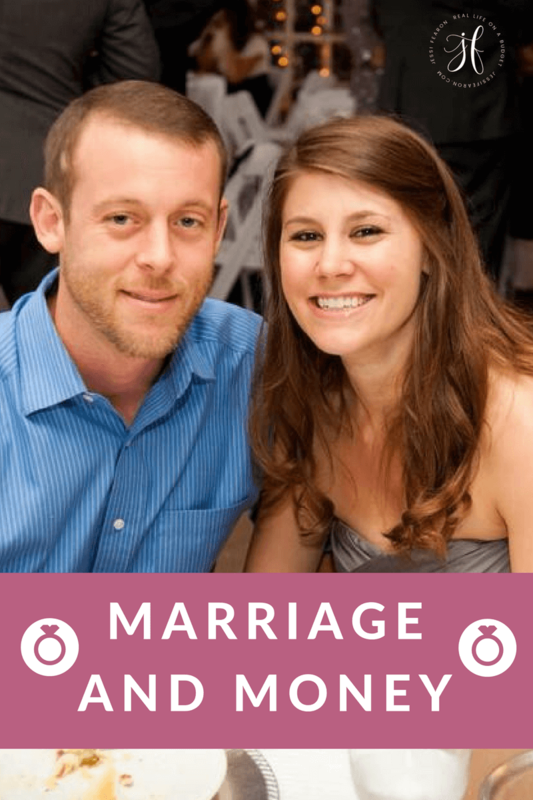 My husband changed people’s light bulbs as a side hustle for a time. Yes, he really did charge people to change their light bulbs – you’d be surprised how many folks don’t own a ladder tall enough to reach their light fixtures in their high-vaulted ceilings. I’m not saying that you have to come up with some super creative side hustle. 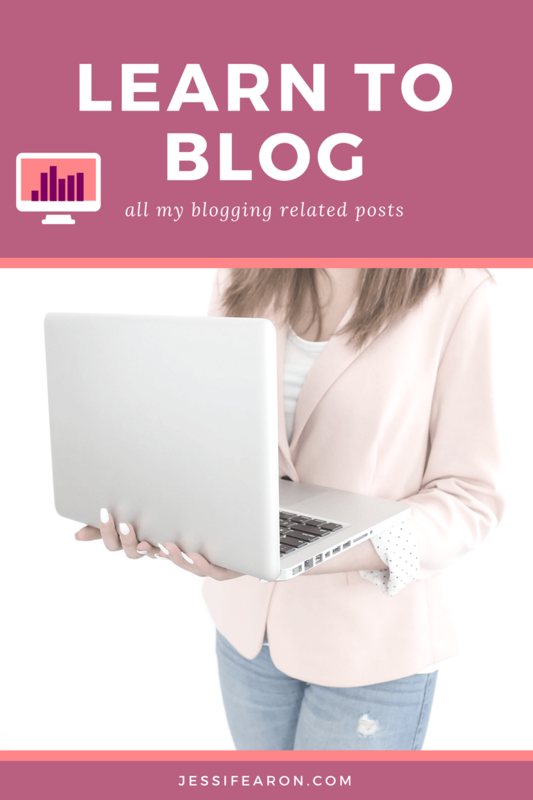 My blog is and has been my side hustle of choice for years. 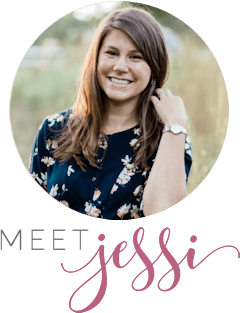 I love running my blog and it’s such a great bonus to be able to earn a living doing something that I enjoy. 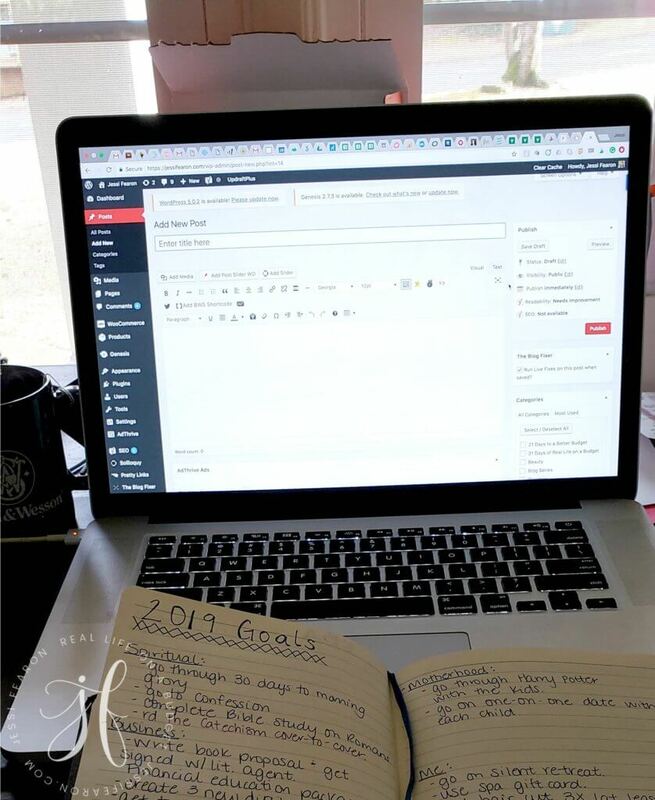 So your side hustle doesn’t have to be something sucky – it can be something you’re passionate about. Either way, if you determine based on your budget and your goals of when you want to achieve debt-freedom that you need to generate additional income, a side hustle is the perfect way to do just that! Like I said before, becoming debt-free isn’t for the faint of heart. You’re going to be tempted to go back into debt – your toddler will try to help you “clean” the TV screen which will result in her breaking it (true story…). Or Christmas will sneak up on you or your relatives will pressure you into going on that family reunion that you can’t afford to pay cash for. I know this will happen because I’ve been there. But here’s the deal, the word “no” is not a sin. You are not a bad person if you have to tell someone (or yourself) “no”. This is a lesson in boundaries (which, side note, if you’ve never read the book Boundaries, I highly recommend it! ), meaning that you get to set limits on your money and determine what you will and will not use YOUR money for. So if that means you need to tell someone “no” that you can’t meet them for lunch that’s fine. You don’t have to tell them why – after all your finances are frankly none of their business. But if you say “yes” to them, then you are sacrificing your own boundaries – and that’s on you because you chose not to stick to your limits. 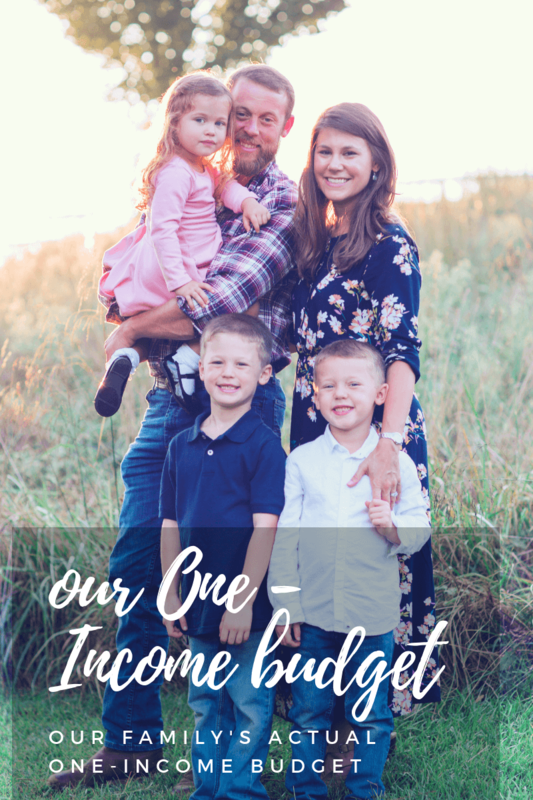 For years now my family and I have been using what we call the “funds” system of budgeting. Basically, we have various checking and savings account set up for specific things. Example, Christmas is a fund that we save for all year round. It’s a completely separate bank account that set aside a specific amount every week into. 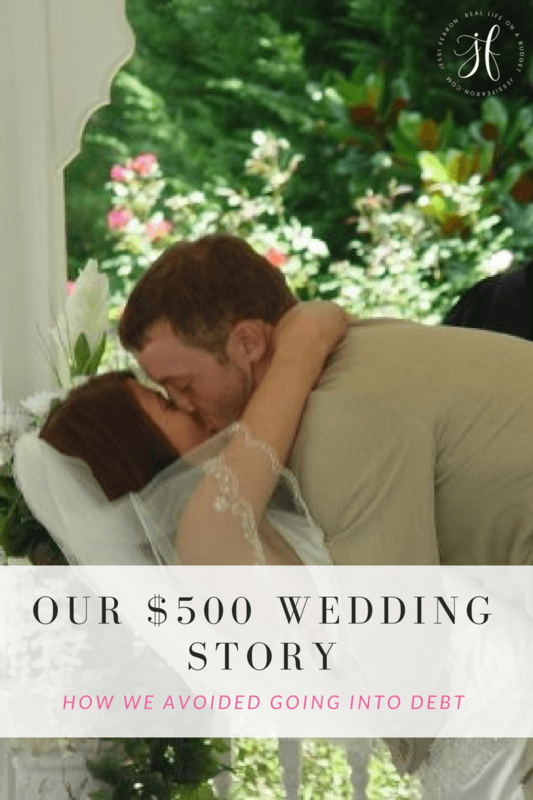 This allows us come Christmas time to have the cash ready to pay for anything Christmas related without struggling to make room in our budget. We have one for our auto expenses as well. So any oil changes, tires, repairs, etc. that needs to happen to one of our paid for vehicles, we have the funds readily available to pay for it. 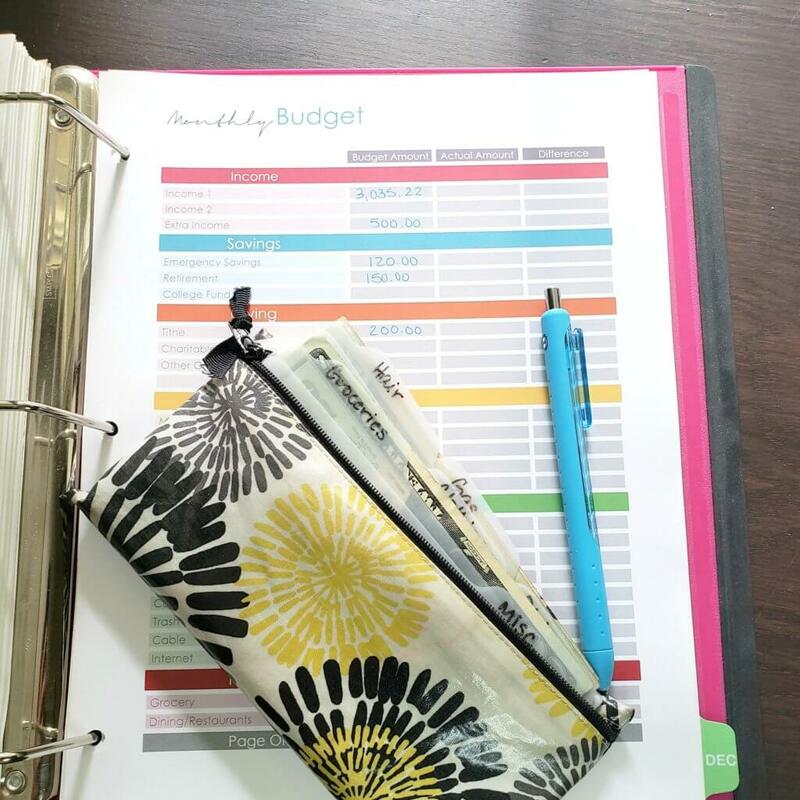 If you want to learn more about the funds budgeting system, head here to read my more in-depth blog post. Okay, so setbacks are going to happen. Life is going to happen. Therefore, if life happens and you need to pause your debt-payoff progress, that’s okay. Let me say that again, it’s okay to pause your aggressive attack on your debt. If you need to pause it because you find yourself in need of saving up for something else, that’s perfectly fine. We had to do this while we saved up cash to replace the roof and windows of our home. We were aggressively trying to pay off our house, but after a $400 natural gas bill (and numerous blankets nailed up over windows to keep the draft out) and another leak in our ceiling, we decided we had to pause on paying off the house and instead save. There’s nothing wrong with these decisions because they show that you are maturely handling your money. You’re being an adult when you make these kinds of decisions. So if you find yourself in this predicament, know that it’s okay whichever way you decide to go because you’re in the driver seat. If you’re on the debt-free journey, what helped you get started? Excellent advice on starting a debt-free journey! My husband and I are on our journey right now. The hardest part for us is the setbacks. We recently had to replace the back window of our minivan due to a lawn-mowing mishap. So, of course, we had to pause paying off debt and quickly replace that $300 in our emergency fund. Having the mindset that setbacks are going to happen and it’s okay really does help ease the stress and overwhelm. It’s hard to stop when you have that gazelle intensity, but sometimes it’s necessary to pause and go back a step!